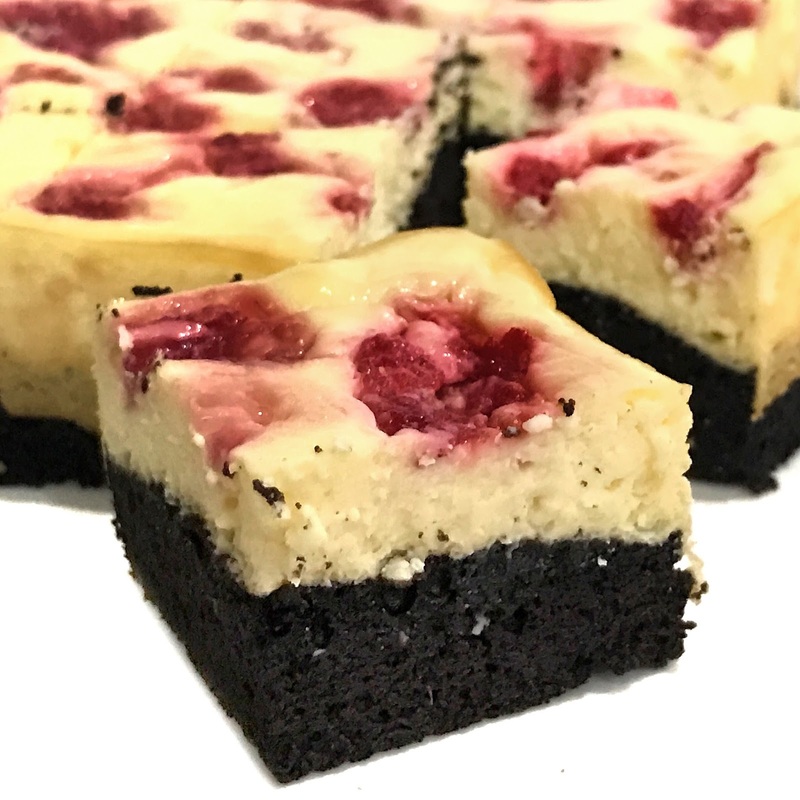 I always wanted a dessert that combined cheesecake and brownies because don’t you find that these pair so beautifully? 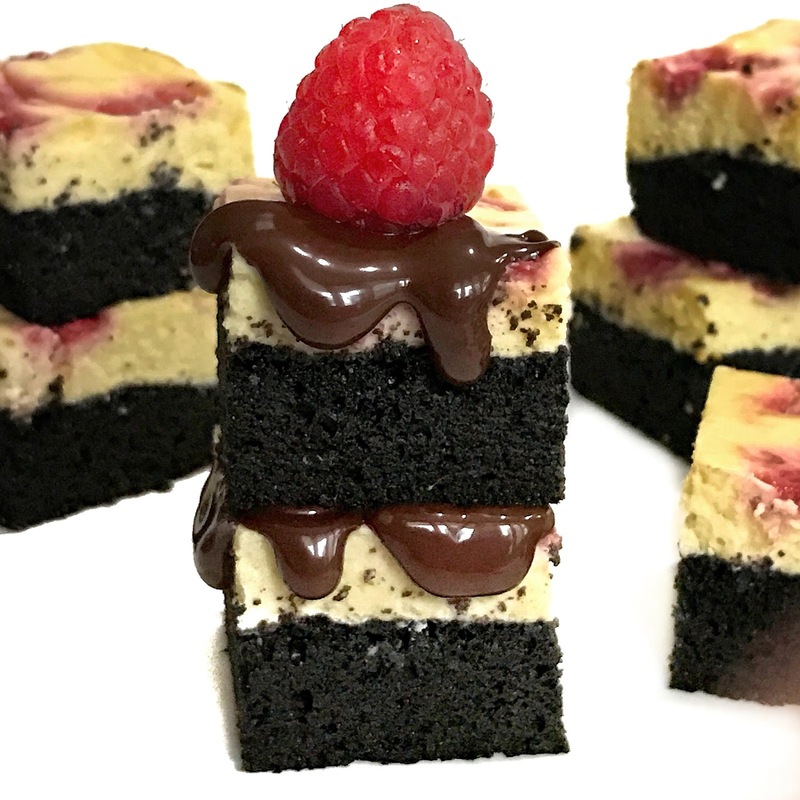 Imagine the creaminess of the cheesecake coupled with the Chocolatey fudgeyness of the brownie. Indeed a match made in heaven. 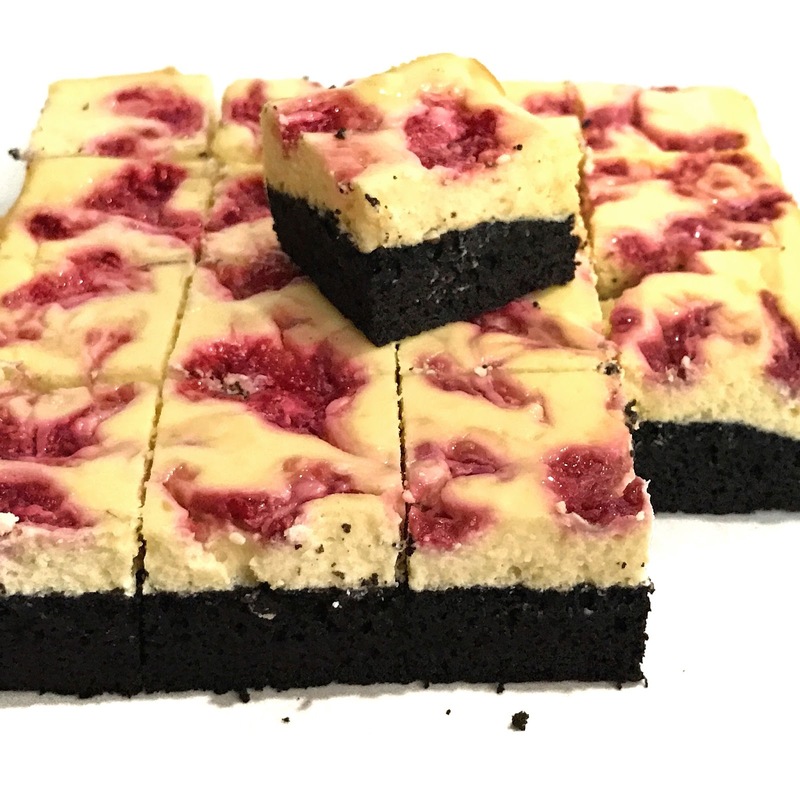 So here I present you the Christmas edition of Raspberry Swirl Cheesecake Brownie that combines the best of both worlds- Cheesecake + Brownie! There was a sale of raspberries at Cold Storage (2 170g packets for $12.90) so I jumped at the opportunity to get my hands on some of these beautiful red berries! Christmas is right round the corner. If we do a count down now, you realize we are just less than a month away! Bring out those festive party hats, Christmas Tree, decors because it’s certainly time to party! 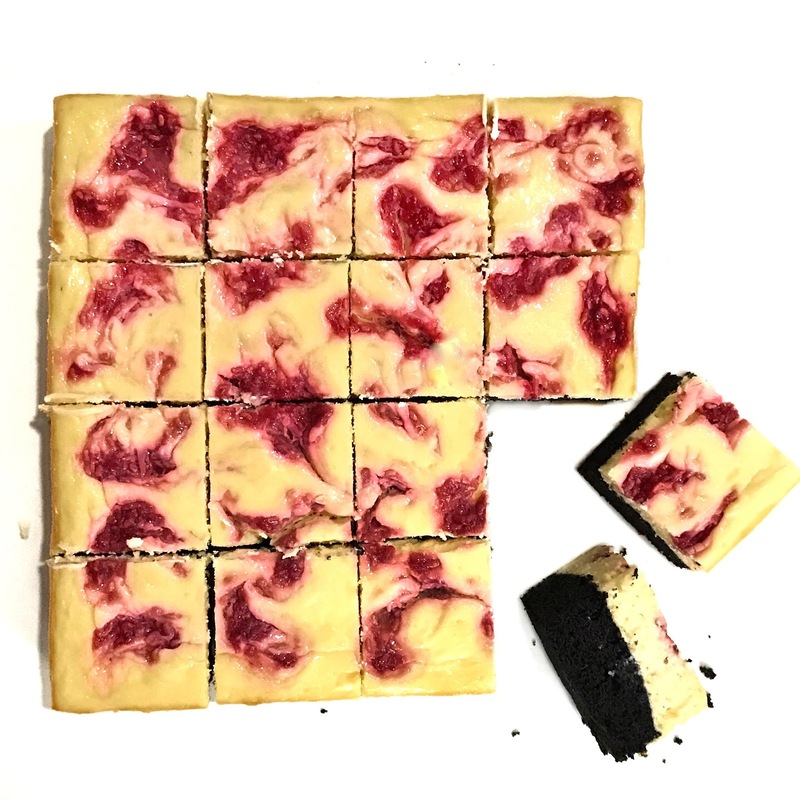 I chanced upon this Raspberry Swirl Cheesecake Brownie recipe on Daniellel’s website. It looked so promising and perfect for this Holiday Season. I made a few adaptions here and there to ensure that the dessert isn’t too sweet. We all know that we will be feeding ourselves with alot of sweet treat this season so if there’s a healthier option. WHY NOT! Feel free to check out the recipe below or her original recipe. Sift in the flour, cocoa powder and salt and mix until just combined. Do not Overmix. Pour brownie batter into the pan and smooth it out into one layer. Bake for 20mins and remove from oven and set aside. Add the raspberries and sugar into a saucepan and cook until mixture has slightly thicken. Set aside to cool while you prepare the cheesecake filling next. Dot raspberry puree on top of the cheesecake and use a knife to swirl the raspberry into the cheesecake layer. Return the baking pan into the oven and bake for another 25 mins until top of the cheesecake is just set. Note* I didn't strain the raspberry mixture as i like the seeds in my cheesecake. You can always strain for a smoother swirl.